Under : Is Your Granny A Liar? The Broadway sensation Hamilton has sparked a renewed interest in the life of the founding father Alexander Hamilton that hasn’t been seen since this 1990s Got Milk? advertisement. Hamilton’s life is the quintessential American success story. He was born as an illegitimate child in St. Croix, abandoned by his father, shortly thereafter orphaned, only to later become one of the most influential men in American history. 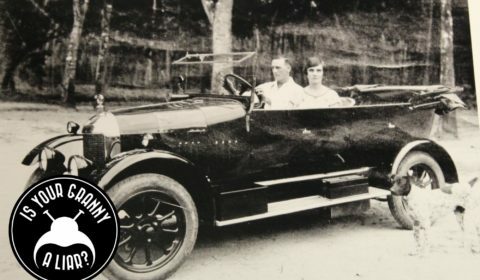 His life is full of stories and experiences that most one doesn’t typically find in generations of family history research. Listen to this 2009 performance by Hamilton’s creator Lin-Manuel Miranda that tells the story in great detail. 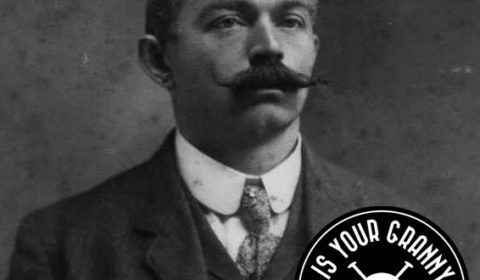 With all this excitement around a historical figure, it is no surprise that anyone with the Hamilton surname in their family tree is wondering if this is any connection to the man depicted on the ten dollar bill. My friend Alissa recently told me that one of her ancestors was a cousin of the famed Alexander Hamilton. At first, I was skeptical because the term “cousin” can sometimes imply a very distant connection. But Alissa assured me that her family’s story indicated it was a close cousin, so I went off to find out whether or not Alissa’s granny is a liar. Alissa’s shared her family’s research on her Hamilton ancestry, and it is well-documented to her 4th great-grandfather, George Hamilton. George was born on 9 October 1792 in Gettysburg, Adams County, Pennsylvania and died on 15 November 1867 in Plain Grove, Lawrence County, Pennsylvania. 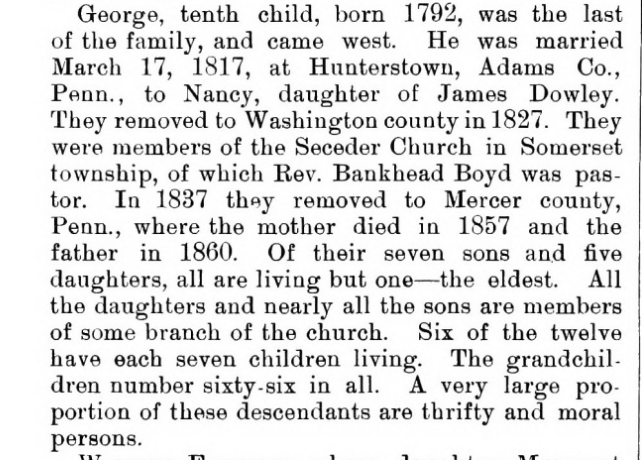 His father, William A. Hamilton, was born circa 1740 and died 21 September 1823 in Adams County, Pennsylvania. William is Alissa’s 5th great-grandfather and the supposed cousin of Alexander. Treasury Secretary Alexander Hamilton was the illegitimate son of James A. Hamilton and Rachel Faucette, born in the Dutch Carribean island of St. Croix on 11 January 1757. James was the son of Alexander Hamilton of Scottland. Since both families bear the Hamilton surname, the research will examine the paternal lines to find out if Alexander and William are, in fact, cousins. I was unable to find primary-source documentation, like a will or probate record, that proved William A. Hamilton was the father of George Hamilton. I did, however, find several secondary sources that showed this relationship. The most comprehensive source was the book, Commemorative Biographical Record of Washington County, Pennsylvania, published in 1893. 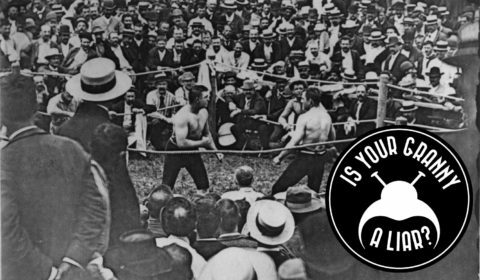 I am usually wary of these late-nineteenth and early-twentieth-century local histories and published genealogies because they lack citations, and sometimes contain errors, but they can make great starting off points. George Hamilton’s death year illustrates the problem with these sources. The book referenced above lists it as 1860, but this Pennsylvania veteran’s burial index card, submitted by the cemetery in 1939, indicates he died in 1867. Unfortunately, the date is illegible on the image of the headstone posted on FindAGrave, but the websites information again lists 1867. 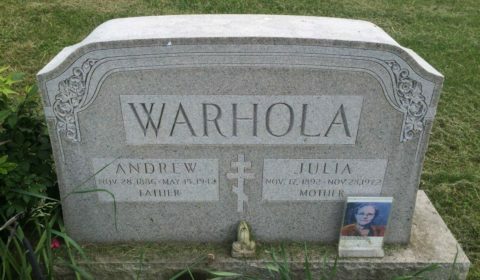 If the headstone is original, it is a slightly more reliable source for his date of death. Given his age, the places he lived, and other correct details about the family, we will give this source the benefit of the doubt and say that George is a son of William A. Hamilton. Besides, if we believe the book, Alissa can take comfort in the fact that her 2nd great-grandmother was likely “a thrifty and moral” person. Now that we are relatively confident that Alissa is a descendant of William let’s see if there is any connection to Alexander Hamilton’s family. 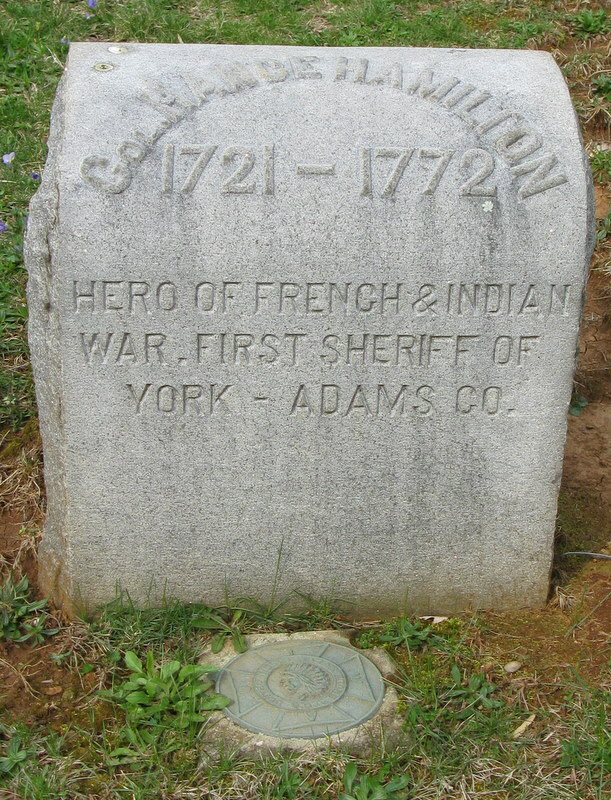 According to the Commemorative Biographical Record of Washington County, Pennsylvania, William is the son of John Hamilton, who immigrated to America in the early eighteenth-century first arriving in New Castle, Delaware, and later settling in York County, Pennsylvania. Around 1781, he moved west to Ginger Hill, Washington County, Pennsylvania, where he died in 1798. The details on John’s arrival and his life before immigration are sparse, so I tried to find more information about where he immigrated from and other relatives that might provide a connection to Alexander. To accomplish this, I searched for records of John Hamilton in York (later Adams) County, Pennsylvania. The first hint I found was a reference to John Hamilton as the brother of Hance Hamilton. I learned that Hance was an early settler and the first sheriff of York County after its founding in 1749. The book, Biographical and Portrait Cyclopedia of the Nineteenth Congressional District, Pennsylvania, details Hance’s life in York County, and it references mostly primary source documents. His will, written 27 January 1772, appoints his brother, John Hamilton, as one of the executors of his estate. The book also suggests that there was a third brother, James, who died in 1748. There is a lot of lore surrounding Hance Hamilton. Some sources indicate that he led a fleet of 140 Scots-Irish families from Ulster to New Castle, Delaware around 1729, but there isn’t any direct evidence to support this. There is also confusion regarding his birth year. For example, if the date on his grave marker is correct (1721), he would have only been eighteen-years-old in 1750 when his first son, Thomas, was appointed as sheriff. Since his headstone was remade in the 1800s, it’s possible the date was recorded wrong, or his age was miscalculated at the time of his death. While there is some confusion, most sources do state that Hance and his brothers, John and James, immigrated from the Ulster region of Ireland. 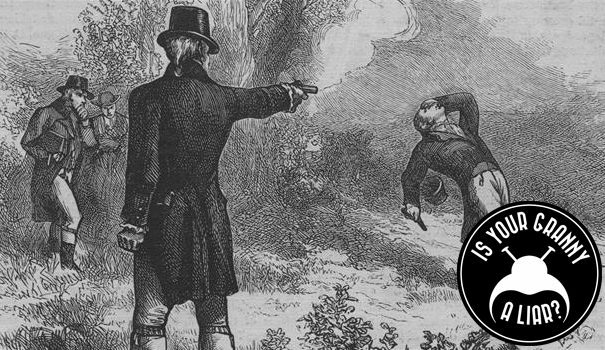 This blog post from the Ulster Heritage Magazine details some of the facts and myths surrounding Hance Hamilton. 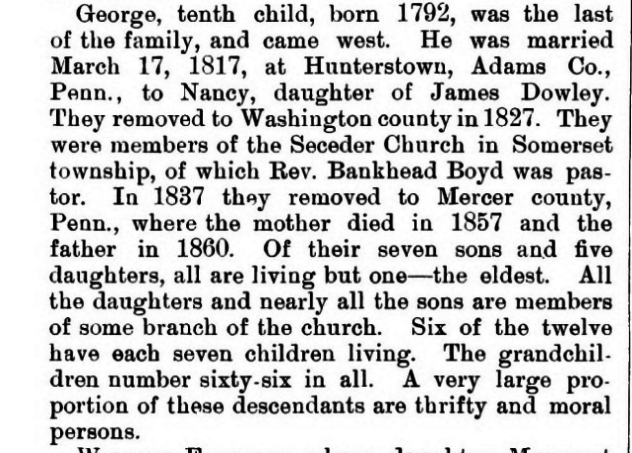 Now that we know more about Alissa’s family let’s take a look at Alexander Hamilton’s ancestors to see if there are any other possible connections. His father, James, was born in Ayrshire, Scotland around 1817 and he was the son of Alexander Hamilton and Elizabeth Pollock. Although Alexander had a chaotic upbringing in the British West Indies, he was a descendant of Scottish royalty on his father’s side. His direct paternal line is deeply rooted in Scottish aristocracy. According to the book, The Royal Descents of 600 Immigrants by Gary Boyd Roberts (Baltimore, MD, USA: Genealogical Publishing Co., 2004, Pg. 96), James Hamilton, the first Earl of Arran (ca. 1475-1529) and even further back, James II, King of Scotland (1430-1460). While it appears that Alissa’s ancestors came to America from Ulster, it is important to note that many Scots settled in the region during the Plantation of Ulster beginning in the early 17th-century. Given this, it could be possible that Alissa’s family has a more distant connection to the Hamilton family of Ayrshire, Scotland. Another interesting point to note is that I did find that Alissa’s ancestors and Alexander’s family had many given names in common. For example, I discovered that Alexander Hamilton had an uncle named William Hamilton, and he was a resident of Greenock, Scotland. He also had a brother named James, who became an apprentice in St. Croix after their mother died in 1768. Little is know about his life after the apprenticeship, although Alexander did write him a letter as late as 1785. Despite the similar names, nothing from these correspondences indicates any connection to Pennsylvania or Alissa’s ancestors. From this research, we determined that Alissa’s ancestor, William Hamilton, is not a first cousin of Alexander Hamilton. It also seems unlikely that they are second cousins based on the dates and places of birth of their fathers. As such, I am calling Alissa’s granny a liar. We did find that William does have an uncle that shares the name of Alexander’s father, but we know that this James Hamilton of Pennsylvania died in 1748, years before Alexander Hamilton was even born. Perhaps all of these similar names is where the family lore originated. It’s possible that Alissa’s ancestor is more distantly related to Alexander Hamilton, sharing a common ancestor that goes back many generations. She could try and track down a male descendant William A. Hamilton and have them take a y-DNA test to take part in the Hamilton Surname DNA Project (her 3rd great-grandmother is female, and the y-DNA test must be done by a direct male descendant of the surname in question). This type of test could help shed some light to see if there is any connection to the same family that Alexander Hamilton descends from in Scotland. Is Your Granny A Liar? 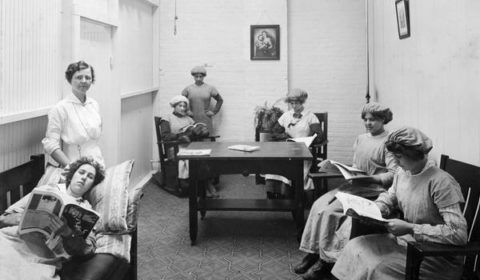 We specialize in using technology to tell your family's story and preserve it for future generations.